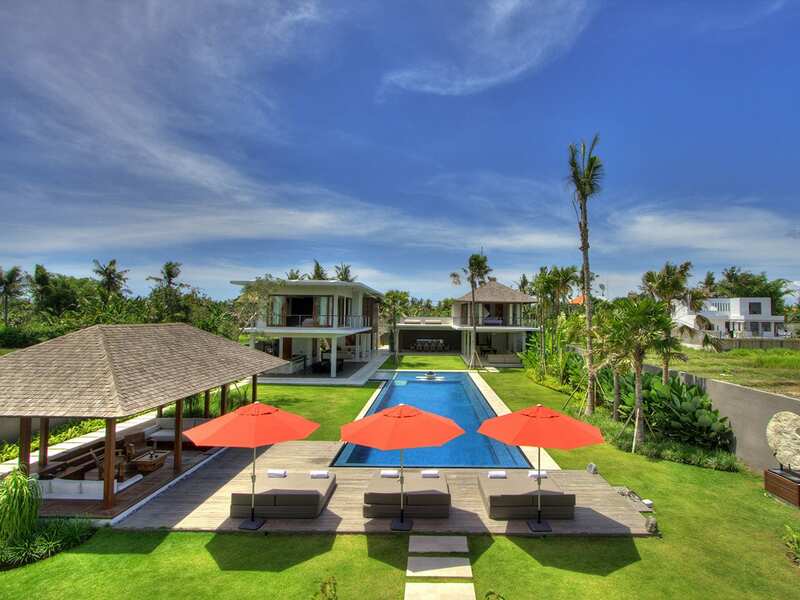 Villa Bunga Wangi is one of four stunning villas in the private Pangi River Village complex in the peaceful village of Pererenan, Canggu just minutes from Echo Beach. 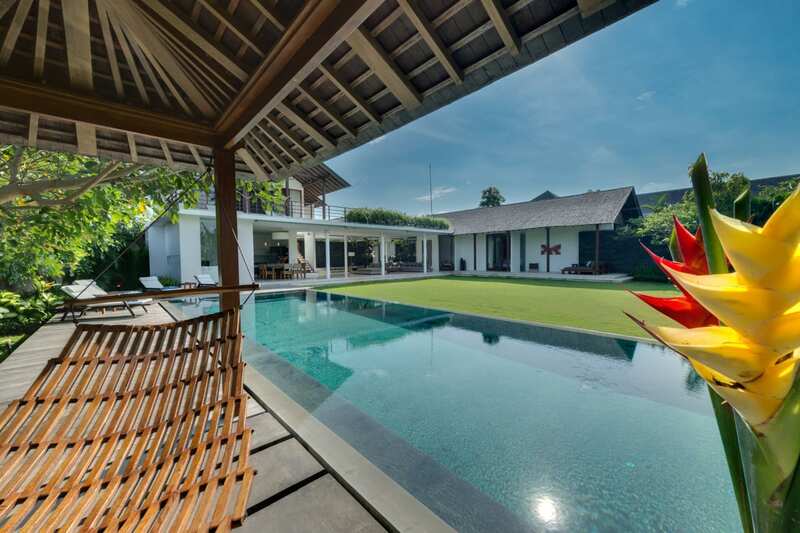 This luxury 3-bedroom villa was designed in traditional Balinese style with separate living and sleeping pavilions spread out over lush manicured gardens beside the Pangi River. 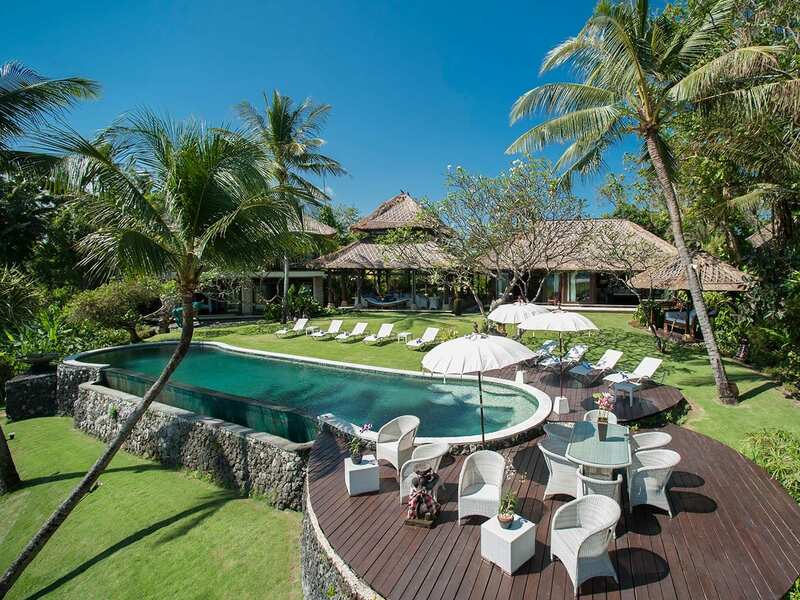 The name Bunga Wangi refers to the sweet smelling flowers that you will find throughout the property, and the true sense of indoor/outdoor living that you get amid the natural beauty here is befitting of the name. 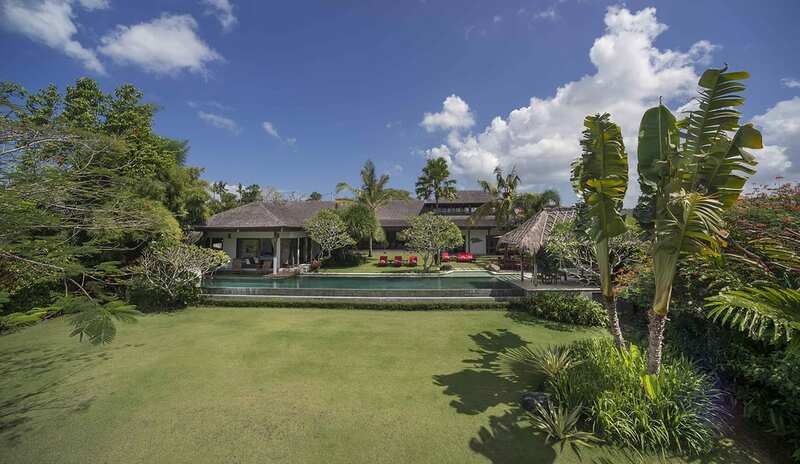 Designed by renowned landscape architect Made Wijaya, Villa Bunga Wangi is an oasis of vibrant tropical flowers, lush greenery and tranquil lotus ponds. 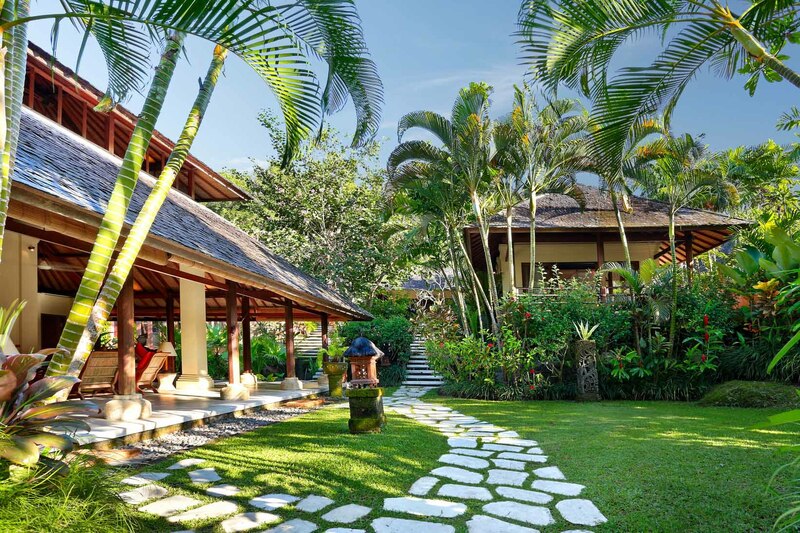 Enter through the traditional Balinese gates and follow the white palimanan stone path past exotic stone statues and expanses of soft green grass to the spacious open-air living and dining pavilion that overlooks the pool and gardens. The living and dining pavilion houses antique furniture and artifacts, and offers plenty of space to spread out and enjoy the views and fresh breezes. Walk through the gardens and you will reach the separate bedroom pavilions, each of which has been tastefully furnished and boasts modern amenities. 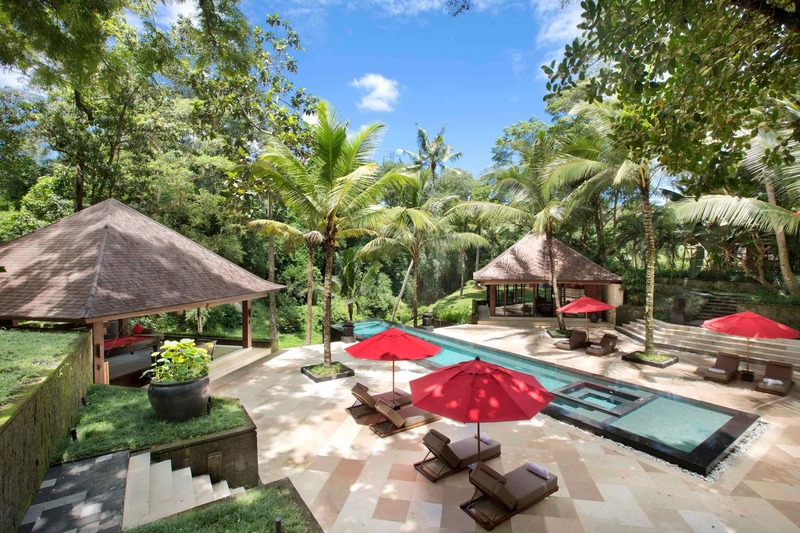 Although you could spend the entire day relaxing in the luxury of your private suite, the natural green stone pool beckons with cool waters and views of the lovely Pangi River. 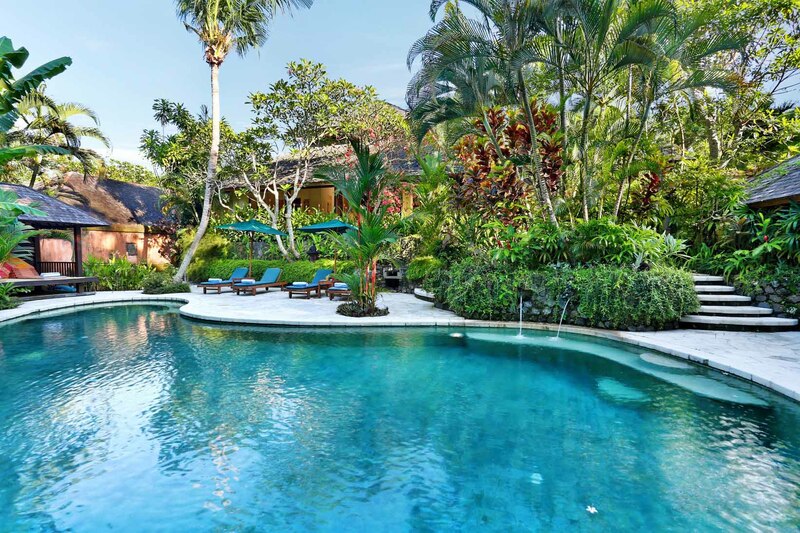 For those who want to get out and explore a bit of Bali, Villa Bunga Wangi is just a short drive from spectacular surfing spots, golf courses, temples, restaurants and bars. 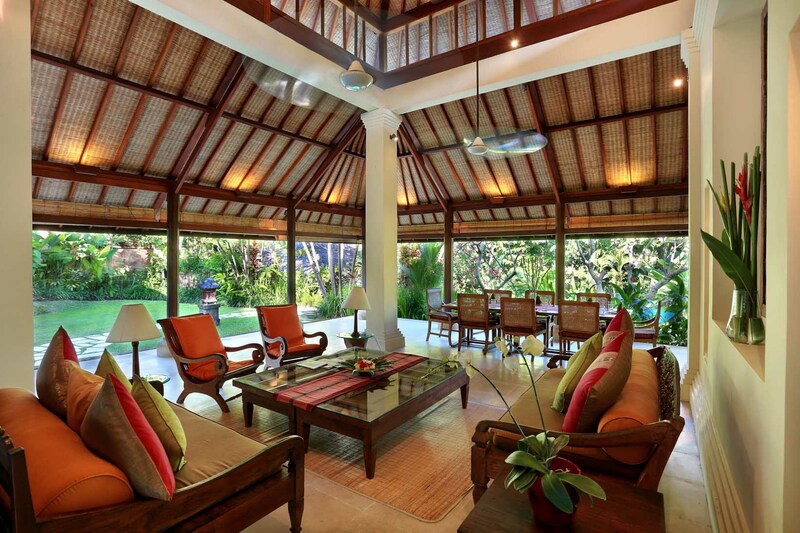 This spacious open-air living and dining area at Villa Bunga Wangi has a soaring 10-meter high ceiling with ceiling fans to circulate air, solid wooden pillars and a thatched roof to protect from the sun and rain. Throughout the space, there are antique daybeds decked out in soft cushions and lamps that emit a soft glow to create a serene atmosphere. On the back wall, an eye-catching antique painted wooden panel holds center place and is flanked by striking Javanese statues set in alcoves in the wall. Along one side of the room, a long bar creates a cozy breakfast nook area and doubles as a cocktail bar in the evenings, and in front of the bar, a long wooden dining room table can comfortably seat 8 people. 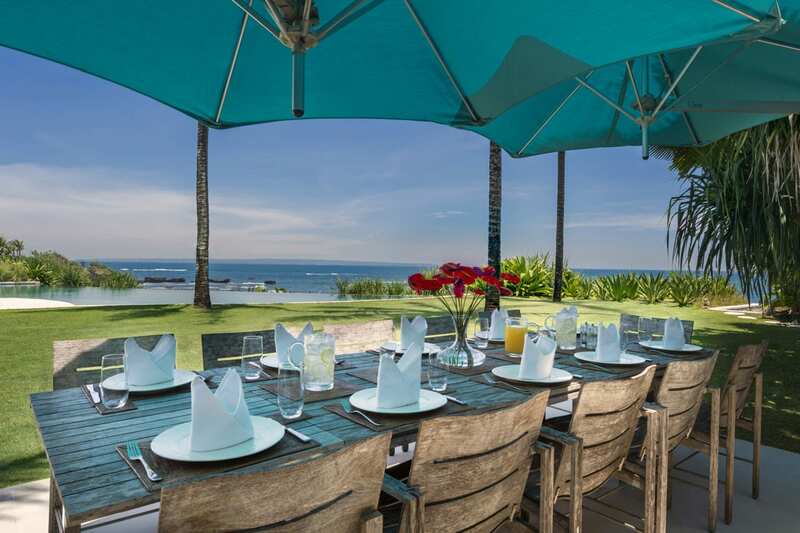 Behind the dining area there is a fully stocked kitchen where the staff will prepare exquisite meals for you. 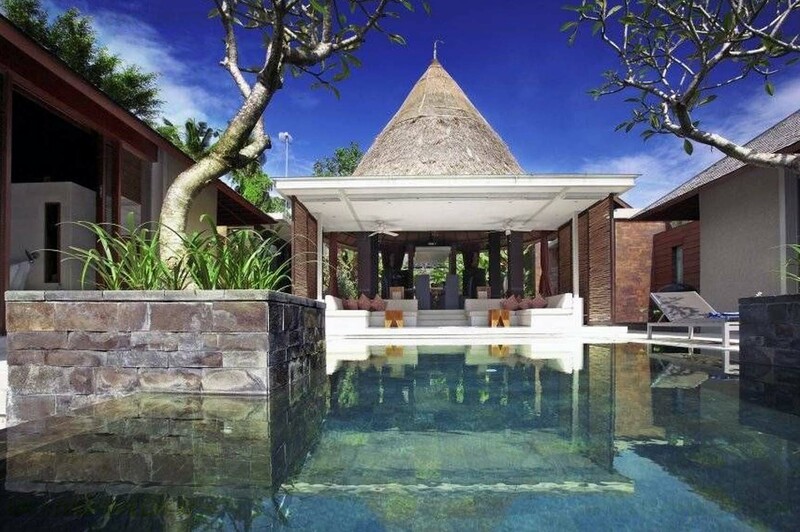 There are 3 separate sleeping pavilions at Villa Bunga Wangi that are both peaceful and private. 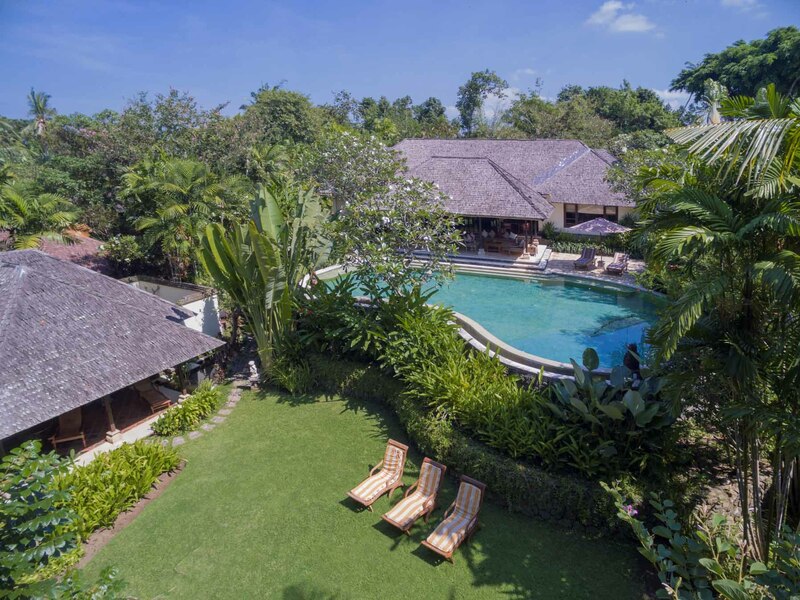 Each air-conditioned pavilion has smooth wooden floors, a king-sized bed draped in a canopy of mosquito netting, a private balcony that looks out over the tropical landscape, a large bathroom with an oversized bathtub and an enclosed courtyard with an outdoor shower. Crisp linens, soft silky cushion covers and fluffy towels add a touch of luxury to the bedrooms. Also in its own stand-alone pavilion, the air-conditioned study can be used as an entertainment center and an additional guest bedroom. On the first floor, this cozy room has a soft sofa and two comfortable armchairs, a satellite TV and a VCD/CD player. Glass doors can be opened to allow sunlight and air to pour in, and there is an ensuite shower room with a washbasin and toilet. Climb the wooden staircase up to the mezzanine area, and you will find large windows that let natural light in, polished wooden floors and a double bed. Resting next to the Pangi River, the kidney-shaped pool is tiled with natural green stones and has infinity edges that allow the water to gently trickle over the sides. 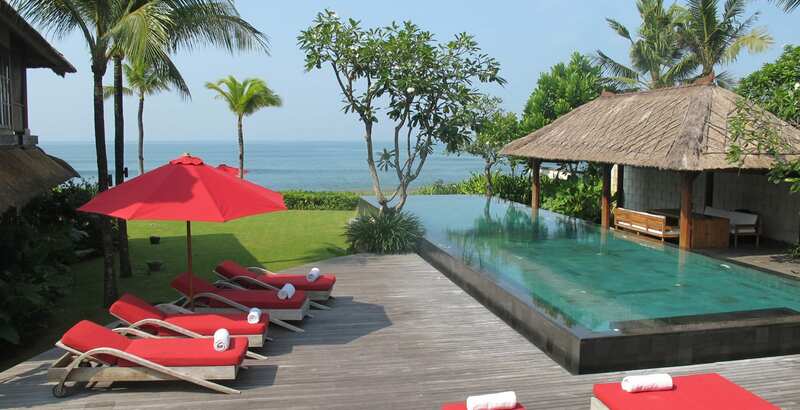 Surrounding the pool are gorgeous flowering bushes, palm trees and sun loungers for soaking up the rays. There is also a thatch-roof bale (gazebo) here for afternoon naps in the shade or relaxing massage sessions. 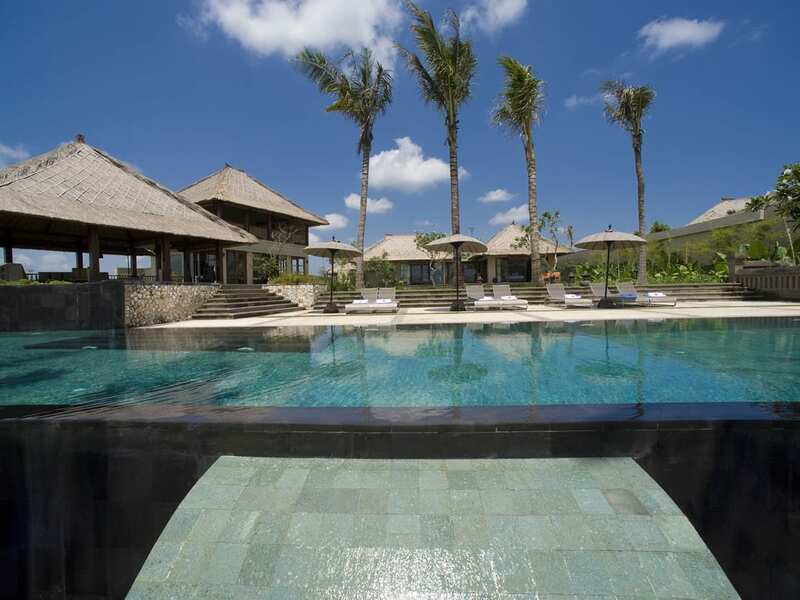 LIVING AREAS Indoor and open-air lounge areas, open-air dining, bar, media room, pool bale. POOL Natural green stone, free form swimming pool, approx. l5m x 5m. ENTERTAINMENT Satellite TV, DVD, Stereo, books, Air-conditioned TV /Study pavilion with bathroom. FOR FAMILIES Baby Cot & High Chair. 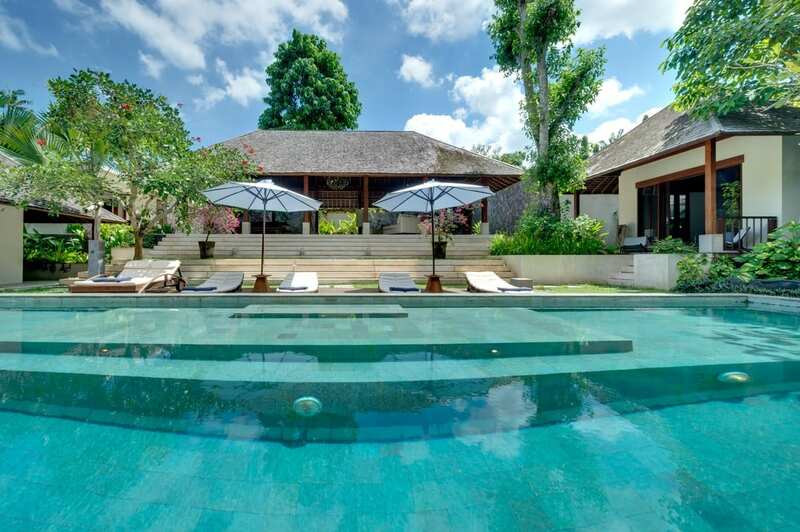 Villa Bunga Wangi is located in the lush and tranquil setting of the rice paddies of southwest Bali. 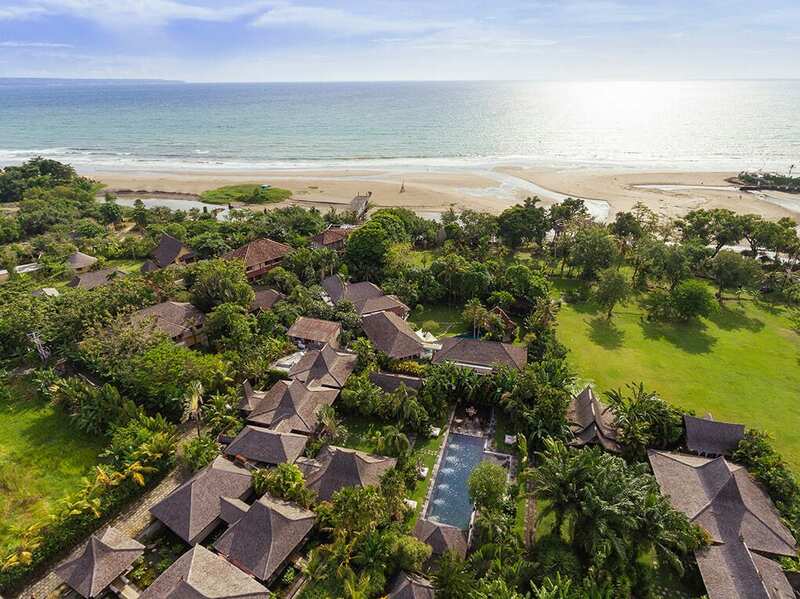 Apart from the wonderful rural countryside of rice-paddies and Balinese villages, Villa Bunga Wangi is also set close to the coastline so you can equally enjoy the surrounding beaches. There are a number of great cafes and organic eateries around the area. 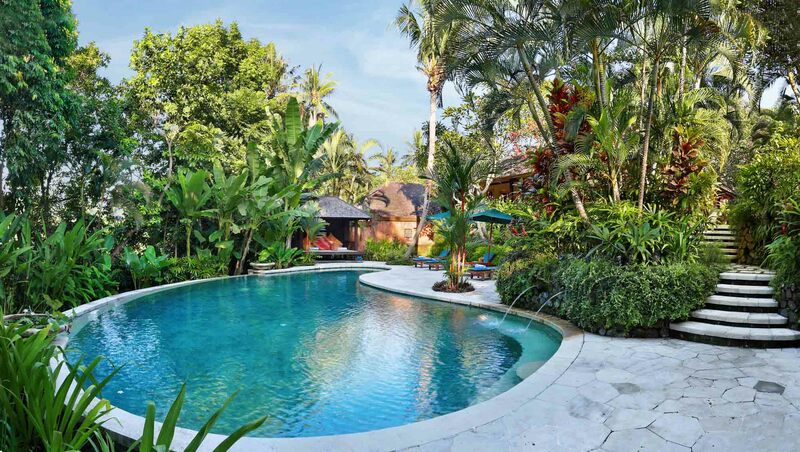 Our family had such a wonderful stay at Villa Bunga Wangi! Before our arrival, we'd been convinced that the property couldn't possibly live up to the impressive on-line photos, but it did, and then some. What an absolutely amazing place! 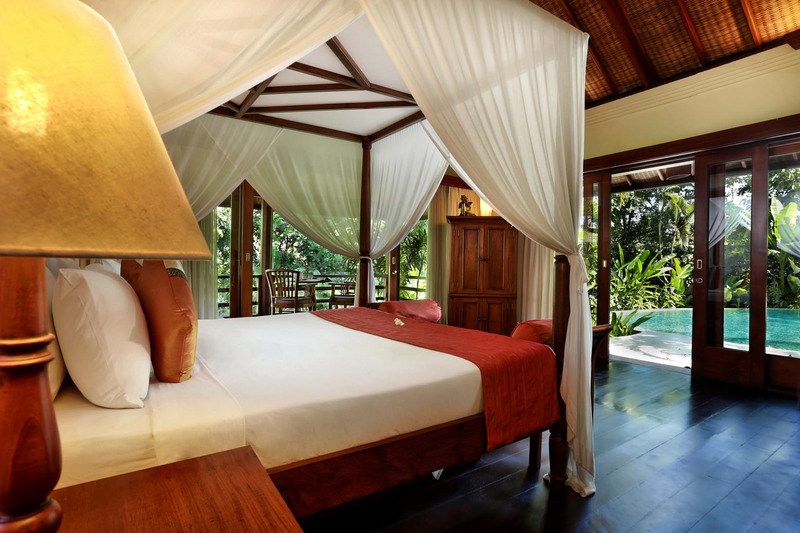 The bedroom pavilions were perfect - beautiful, comfortable, and welcoming. 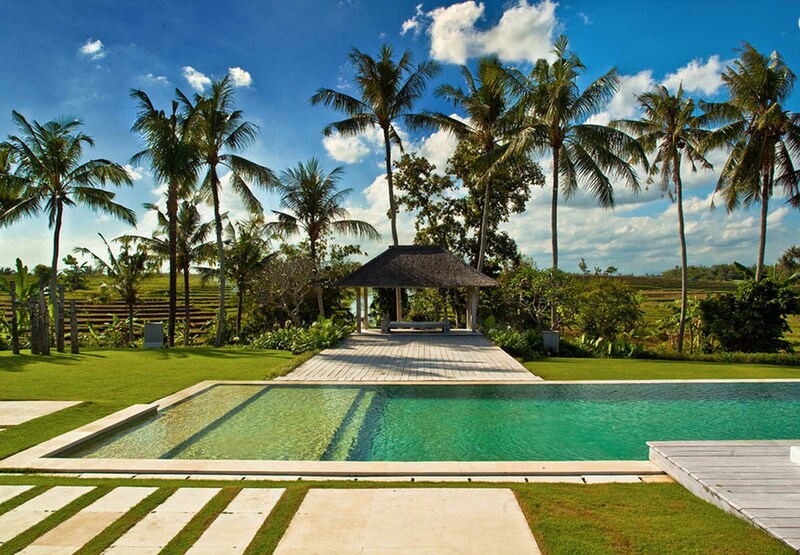 The grounds and pool were also spectacular; we felt like we were living in the pages of a design magazine. And the staff - what a delight! Each person was so kind and helpful, wanting to make sure we were comfortable and were enjoying our stay. It was an idyllic experience. 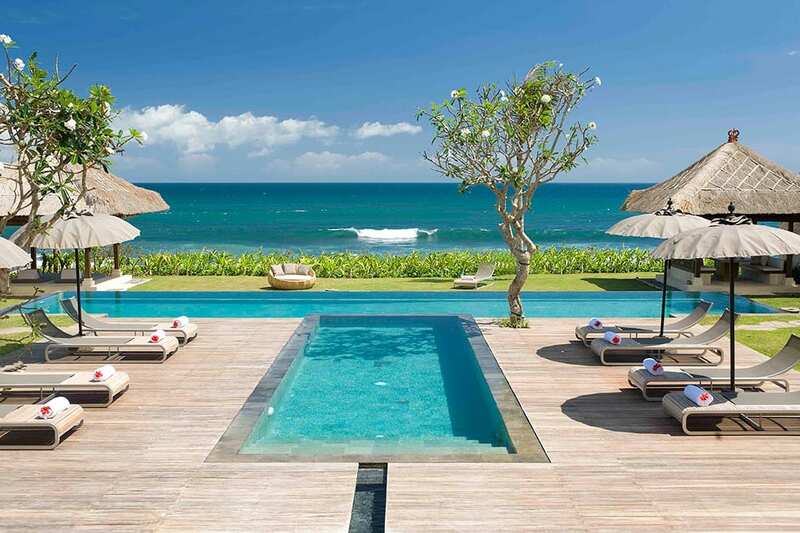 We greatly enjoyed our time in Bali. 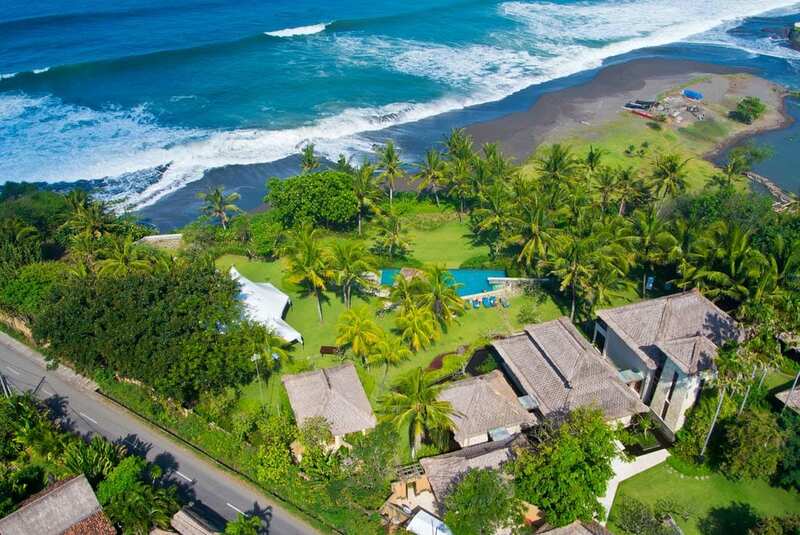 Beaches, mountain biking, whitewater rafting, hot springs, surfing, etc. 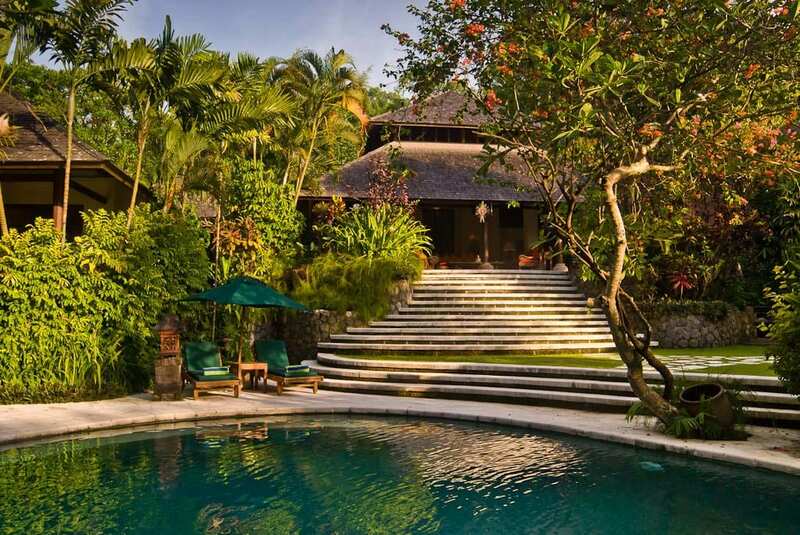 And at the end of our time there, we all agreed - the highlight of our trip was Villa Bunga Wangi. Pure perfection. Beautiful, peaceful, piece of paradise! Best accommodation ever - anywhere! This is the perfect facility to enjoy with friends. The attentive staff complement the sensational facility to make for a very special experience best appreciated when shared. 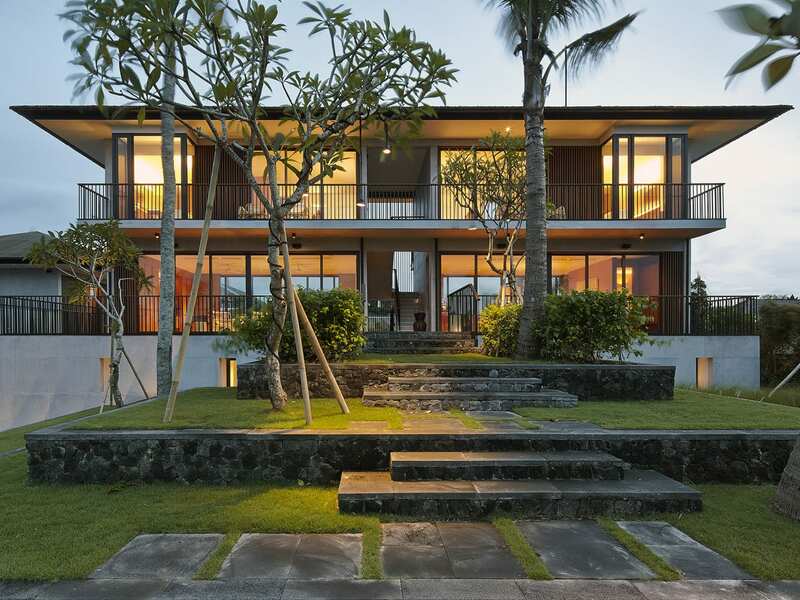 Separate bedroom pavilions away from the shared common area pavilion allows as much privacy as you want. 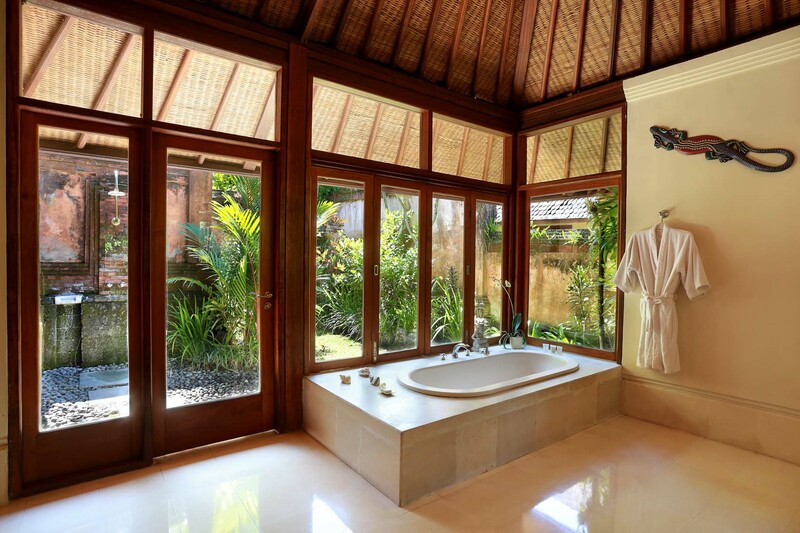 The indoor/outdoor bathroom facilities in each bedroom pavilion is 5 star and well beyond what you would expect for the price. You can probably say that about every aspect of the facility but I had personally not experienced this type of arrangement before. 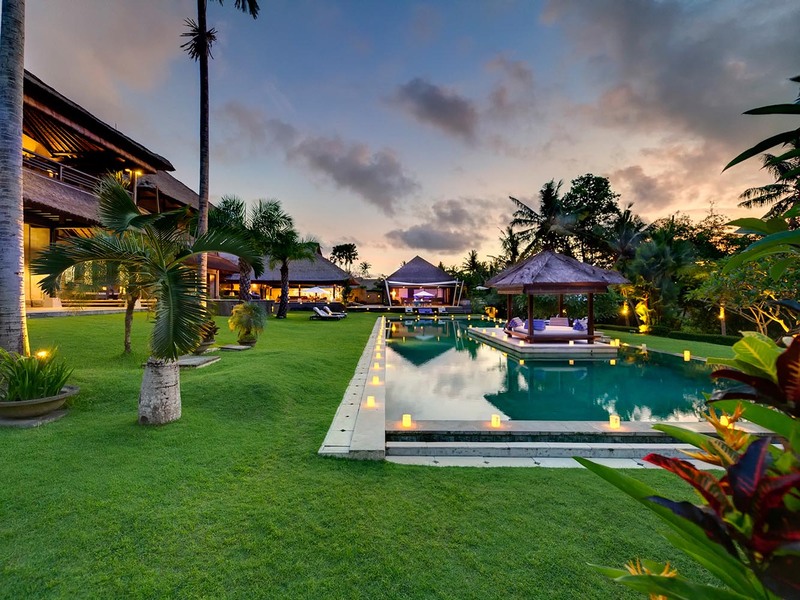 The pool is delightfully private and being exclusive to the Villa made me wish I had booked longer. Alternate days just lying by the pool would have been wonderful so will probably do 2 weeks next time. The food is fabulous with the lunchtime salads being highly addictive. Still having withdrawals weeks after coming home! 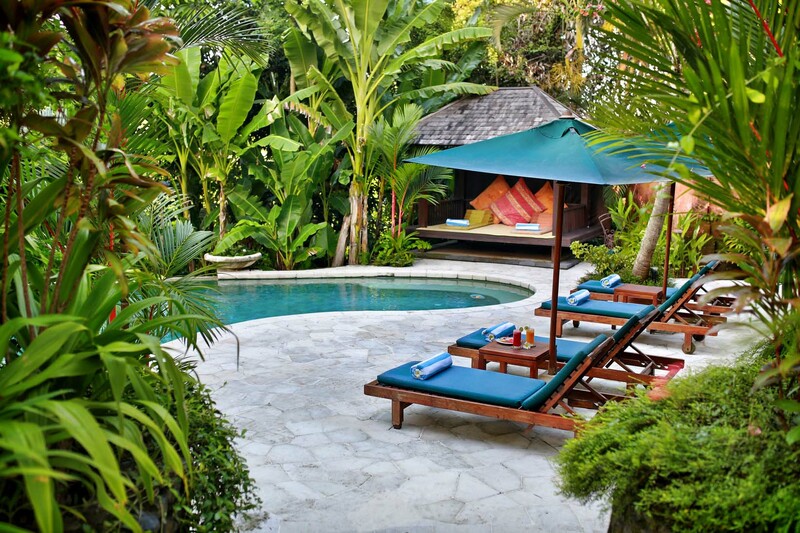 Ketut and his staff are such lovely people they made us feel at home from the moment we arrived. Nothing was too much trouble and it is obvious they enjoy what they do as evidenced by the fact they do it so well! 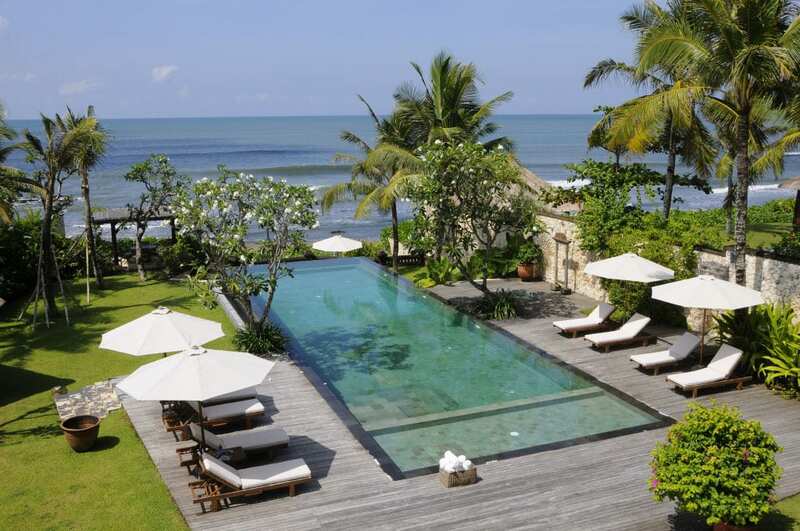 Would not hesitate to recommend Villa Bunga Wangi to anyone. 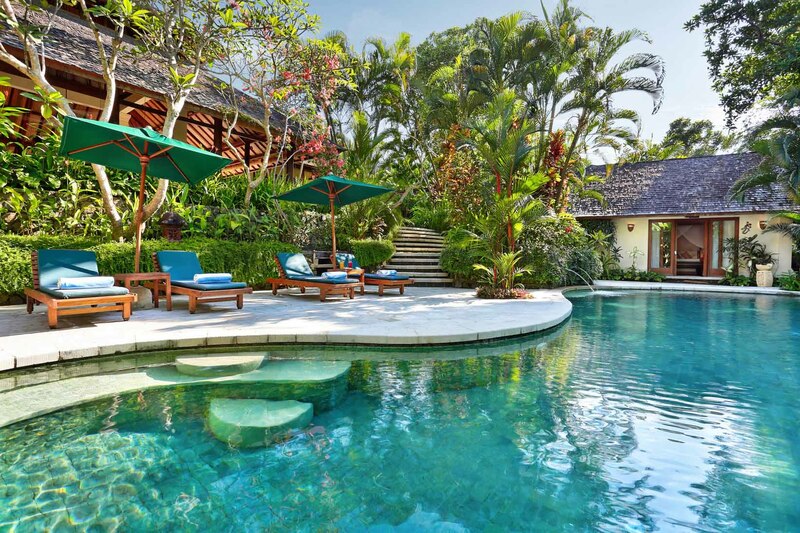 We had an absolutely amazing time at Villa Bunga Wangi. Our entire stay was absolutely flawless and we now have some great family memories together from our time spent at the villa. We completely unwound and relaxed and lost all concept of time. We were all in a blissed out stupor most of the time to the point where I am sure the staff thought we were a bit thick! Despite this the staff were amazing! Ketut prepared amazing meals, the seafood barbeque was great. The staff always greeted us with a smile and helped us with music, gin and tonics, taxis and organising masseuses by the pool on more than one occasion. They kept the rooms, pool and gardens immaculate throughout our stay. We are already discussing our next stay there which I hope is sooner rather than later!